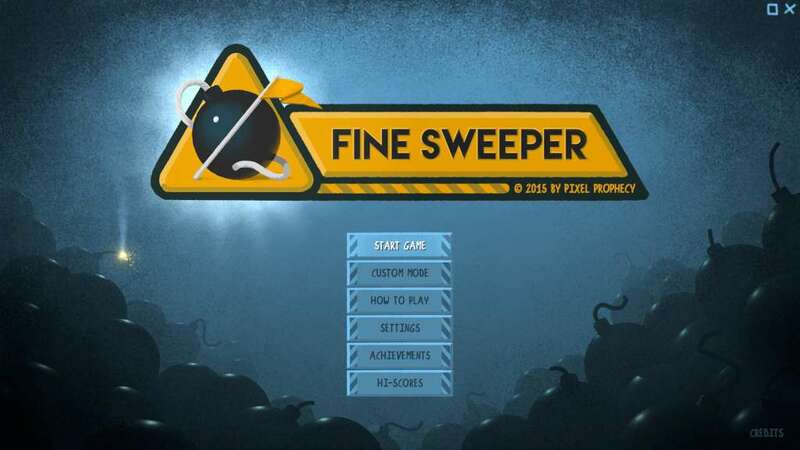 Fine Sweeper is a re-envisioning of the good old casual game we’re all familiar with since Windows 3.11 came along, and we collectively sunk millions of productive hours into an ugly little thing called Minesweeper. Still itching for a fix but you can’t look at the hopelessly outdated and functional presentation any more? Now there’s cure: Fine Sweeperinherits and expands upon the best traits of the genre. 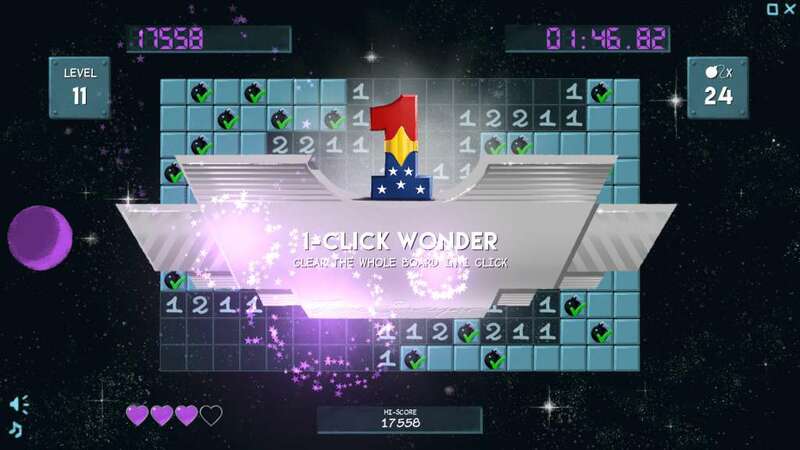 Players who just randomly clicked tiles open in past and never got the addictive rules have the option to learn the mechanics with a little tutorial slideshow. Seasoned players can test their abilities in the “Classic Mode” without extra-lives. Or set up your game independent from the campaign mode to either be a stroll in the park or a dash Through the Fire and Flames. 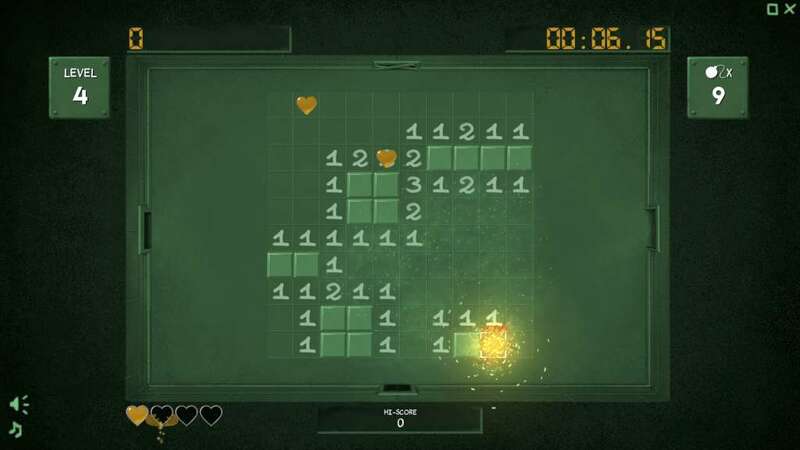 The campaign offers levels increasing in difficulty and size of the playing field while staying true to the core mechanics. 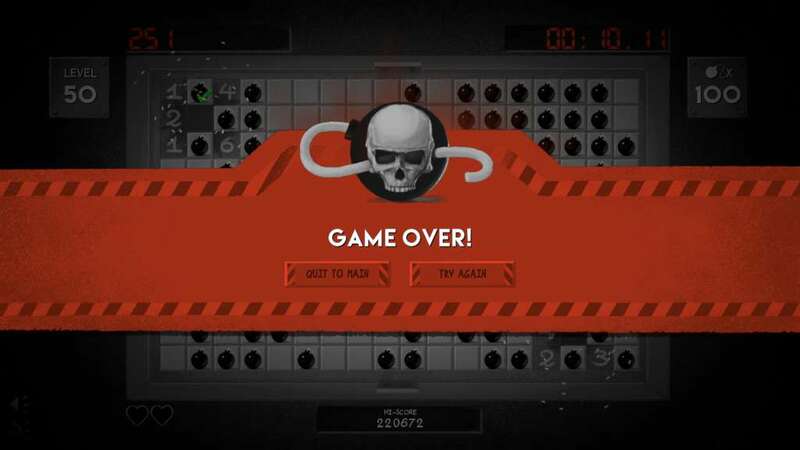 It offers newcomers and veterans a challenge without the game being unfair, item drops will help you progress, and a little mishap near the end doesn’t mean “Game Over” right away. 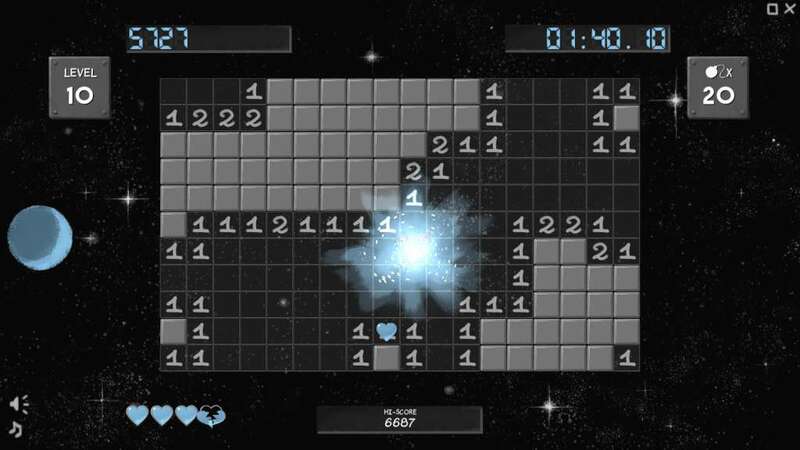 Further, Fine Sweeper is now integrated into Steam: There are 18 + 1 achievements waiting to be unlocked, global and local leaderboards, your progress and settings will be synced with the Steam Cloud so you can keep progressing no matter where you are. 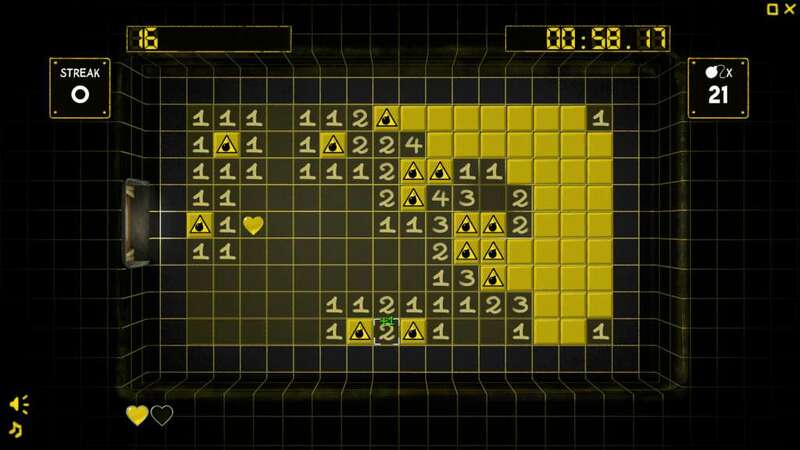 Please note: Fine Sweeper won’t guarantee guessing-free boards, there’s always an element of luck involved to progress (especially on higher levels), still your first click remains always safe.